CUSTOMER LOGIN is up and running do not forget to create an account! Note: After adding your Class Registration Fee to the Shopping Cart, You may return here and add your classes, allowing you to pay for everything at one time! Please check website for continued class updates! Save some time, read this first!!! There are two ways to find classes, choose the one that works best for you! 1- The Class Schedule gives you an overview of the classes sorted by the day they are taught. To view class details simply click on the class titles. To learn more about the Teacher, simply click on their name. 2- The Class page is organized by category, and is a visual overview of each class. Here you can click on the class title to view the details of the class. We are looking forward to a wonderful event filled with National and World Renowned Instructors! Class Enrollment requires a one-time Registration Fee of $15. This fee is required by each student to take any classes. Your seat in each class will be reserved upon verification of the Registration Fee paid. In order to get the class registration early bird price, you must register and sign up for a minimum of one class, at the same time or the code will not work. Once you are registered you can continue to register for more classes and not be charged another registration fee. All swag can be purchased separate - bags, water bottles, etc. Deadline to register is April 21st, 2019 at midnight MST. After April 21st, you can register on-line or at the show with an additional late fee. VIP lounge entrance for drinks anytime, sit and rest area! Please be sure to use the same name, email and phone number when you register. Classes may be added at the show, if they are still available with the Late Registration Fee. To avoid long lines and the Late Fee, register now! UQSM cancellation policy will offer everyone a refund based off both the date they registered along with the proximity of time to May 1st, 2019, the first day of classes. Review the rates below. **Cancellation Policy is subject to change without notice. The Utah Quilting & Sewing Marketplace team will review situations that are not addressed by our cancellation policy. - No refunds will be issued after April 21, 2019. NO exceptions under any circumstances. -Registrations made after Wednesday, April 11, 2019 will not qualify for a refund if canceled after 10 days. Please remember the dates for refunds and cancellations. If an attendee would like to transfer from one class to another there will be a $5 transfer fee. If the class, which the attendee is transferring to, is more than the class transferring from, the attendee will be responsible for the difference in price in addition to the $5 transfer fee. If the opposite occurs, a refund will be given minus the $5 transfer fee. The registration date is the earliest date of the transaction - not the date of the transfer. 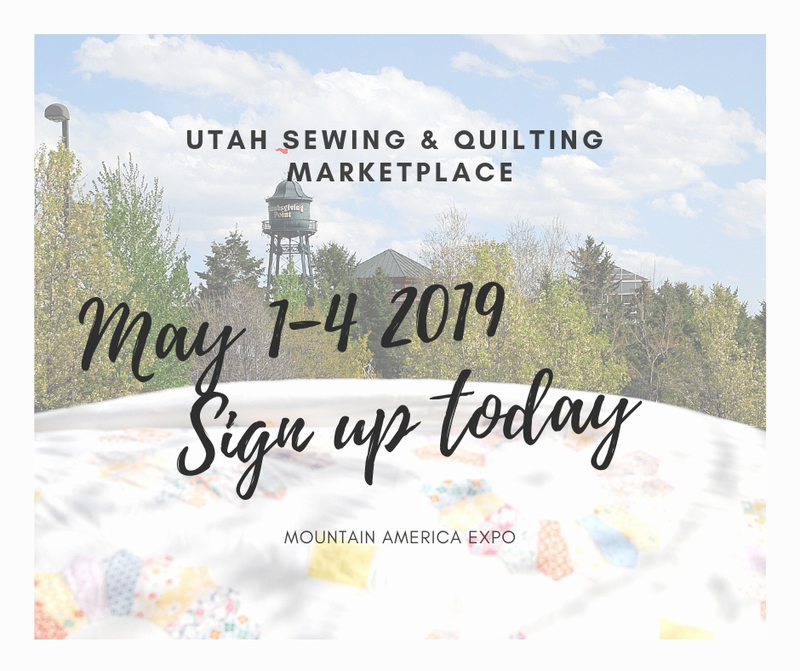 Utah Quilting & Sewing Marketplace will not allow any refunds after the cancellation date. If you are dissatisfied with a class, please email us no later than three hours after the class is finished. You will be contacted about your class experience after the conclusion of the show. info@downunderdiversions.com with questions regarding cancellations and refunds. Is your Till Full of Money? Half circle skirts are very flattering and simple to make, and they don't take a lot of time or fabric. It can be longer than a full circle skirt, but it still has a beautiful drape. Learn about common fitting issues and pattern alterations to fix it. Pattern alterations are simple once you learn how to do them and make your clothes look custom made. Piece this traditional quilt in a NON traditional way! Perfect intersections, very little pinning, and SUPER FUN to make! Beautiful Points every time! Use Easy Piecing Grid printed foundation to make your masterpiece. "No Rules with Rulers" is a class on learning how to use rulers to quilt any quilt block and create original designs besides the shape or size of the block. It is about learning the process of working with rulers and using the tools you have to create new designs and unlocking your creativity.